During a series of roundtable interviews at New York Comic Con with cast and crew from Marvel's Jessica Jones, the next Marvel/Netflix series collaboration, we had some time with Mike Colter. The actor, a veteran of screens big and small, plays Luke Cage in Jessica Jones, and is also now in production for his own titular series. Once all four have debuted, (Daredevil, Jessica Jones, Luke Cage, and Iron Fist), they'll also come together for a mini-series called The Defenders. Colter also assured us that it's in both series, and even that despite some initial hesitation, he's come to love the phrase. "You'll get that later. It fits - actually, I was afraid of that phrase, but it actually fits so well, I don't know why, I don't know why it fits so well into Luke's mouth. It's appropriate, always apropos." One thing Colter did not want to make the transition from the comics into the shows was a certain piece of ornamental headwear. "When I saw the tiara, all the 1970s blackspoitation stuff, I was like, 'oh my God...' But they assured me, 'that's not what we're doing, we're doing a modern day version.' 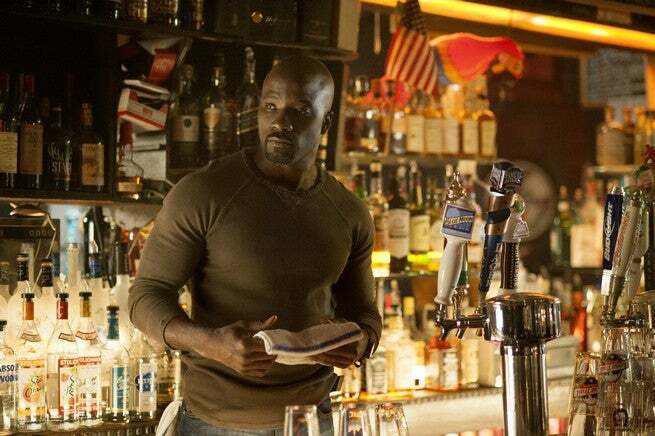 But yeah, [Luke Cage is] production-codenamed 'Tiara'. It's so funny. We're gonna give them what they want, though," Colter told ComicBook.com. Sweet Christmas, indeed.